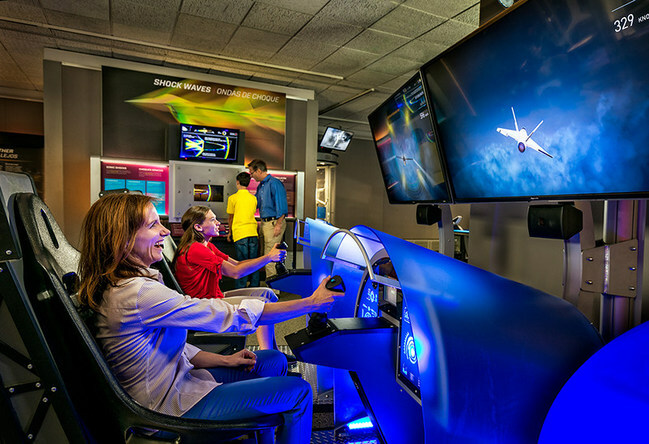 September 20, 2018 – Wings Over the Rockies Air & Space Museum has announced the opening of Above and Beyond, the ultimate interactive flight exhibition, on Saturday, September 29th. Visitors will be able to design, test and fly a supersonic jet, take a trip to low-Earth orbit in a space elevator, fly like a bird and much more. Above and Beyond has been the featured exhibition at globally-renowned attractions such as the Smithsonian’s National Air and Space Museum, the Museum of Science and Industry, Space Center Houston and others. The exhibit will open in Denver beginning Saturday, September 29 at 10:00 AM MST. Above and Beyond is included in the price of Wings Over the Rockies Air & Space Museum admission. Boeing and its Jeppesen subsidiary employ more than 1,800 people in Colorado.